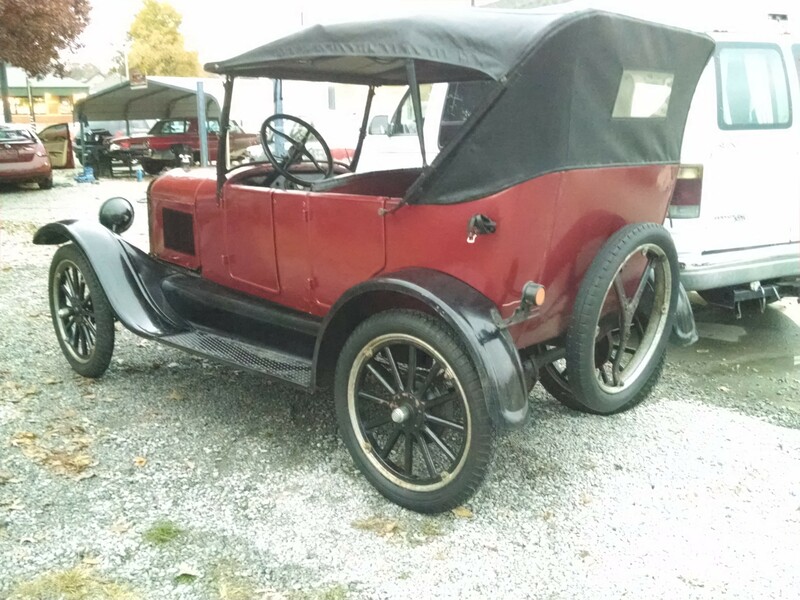 1926 Ford Model T touring car, w/either the original or original style 4 cylinder. 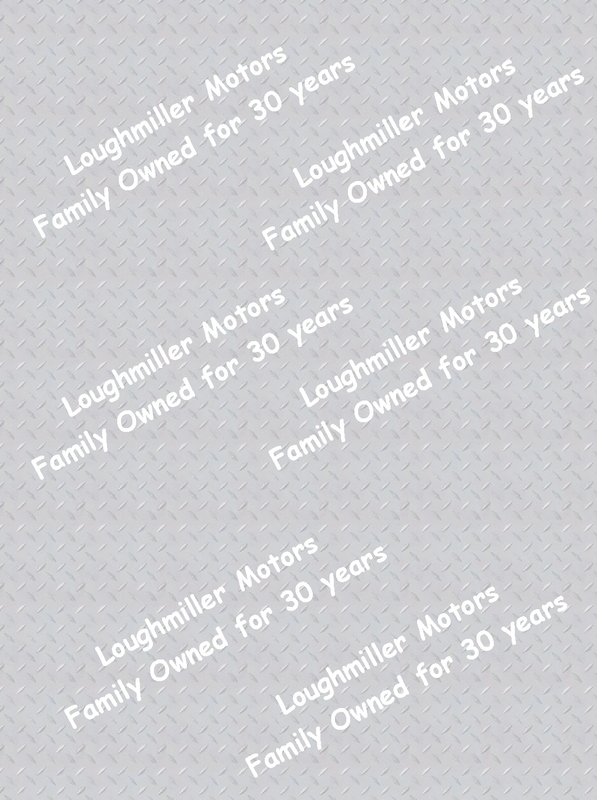 I will check the frame number as time permits to see if it matches the engine number. 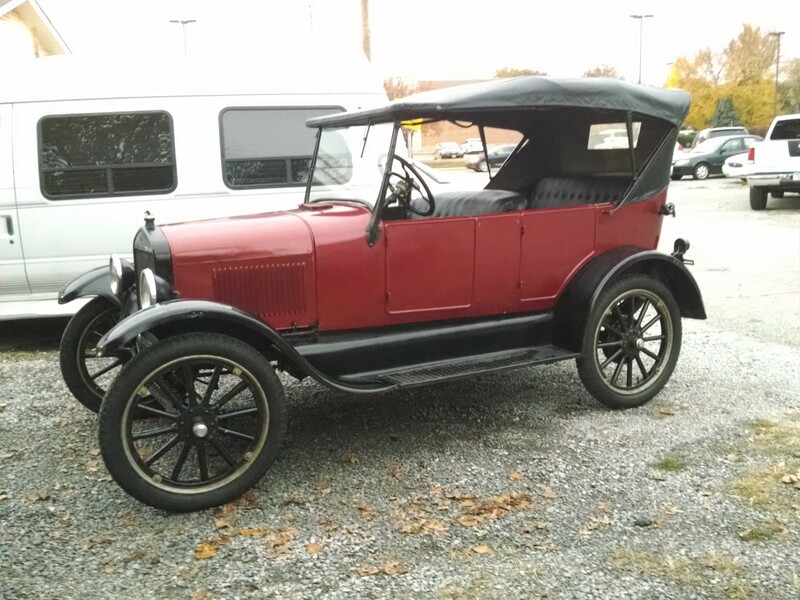 The engine number is one that could have been used in the 1926 Ford Model T production year. 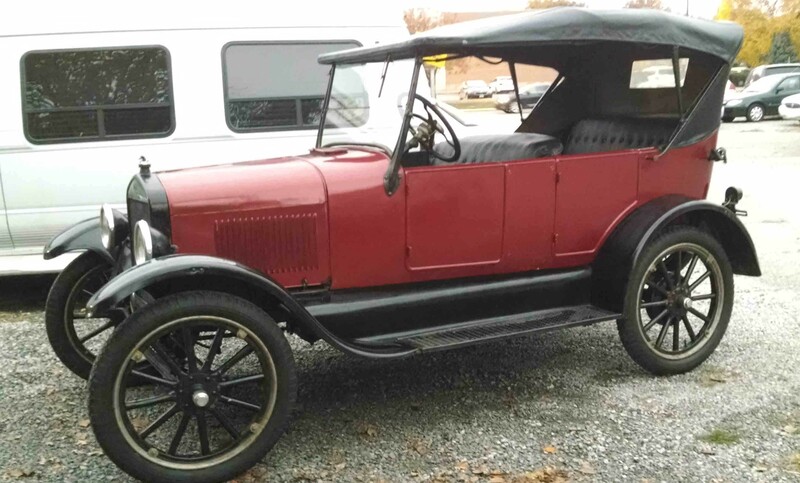 This little model T starts with a tap of the floor mounted starter switch or if you prefer to start it the old fashioned way you can give the ole crank a twist & the 'T' comes to life. 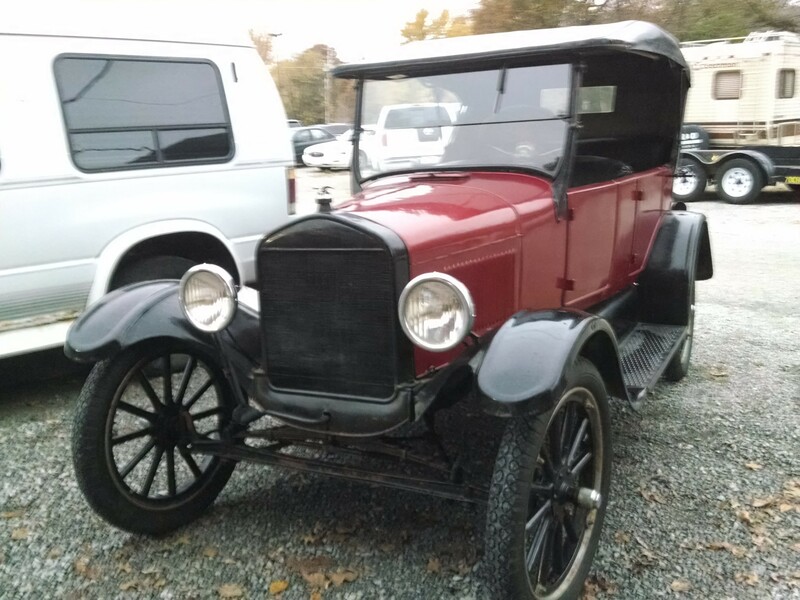 It runs and drives and stops like it was 1926! 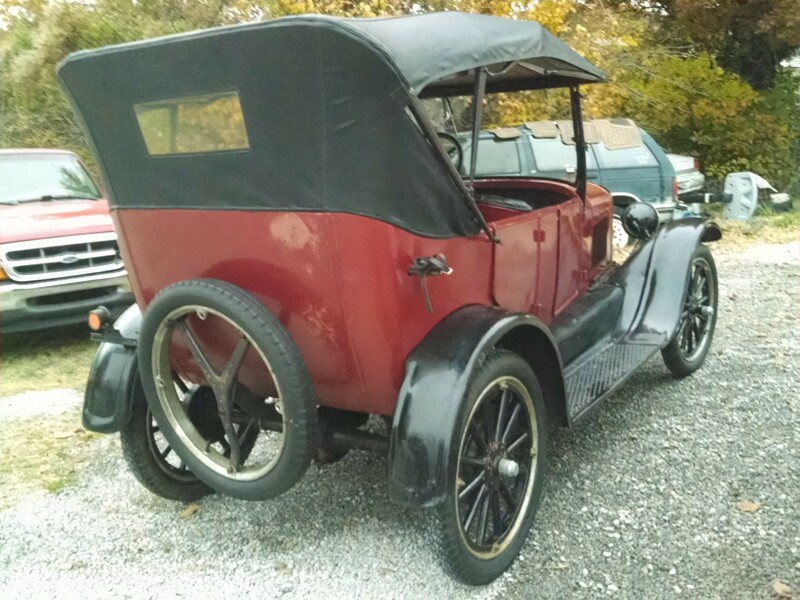 The convertible top is black & the body is dark red with black fenders. 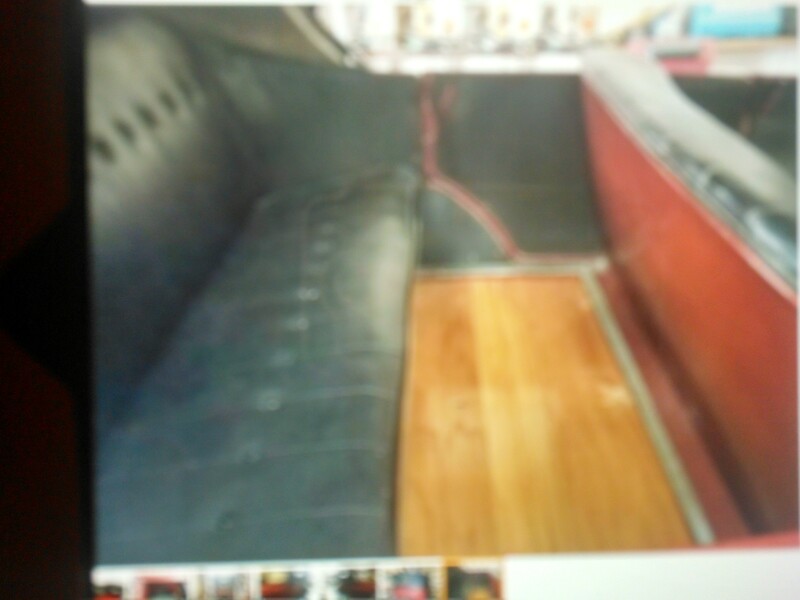 Period style upholstery w/period style buttons & stitching on the nice black vinyl front and back seats. The wooden spoke wheels have the three and a half inch tires all the way around...the tires are weathered & checked but hold air fine. Both sections of the windshield are fine as is the back plastic window in the top. 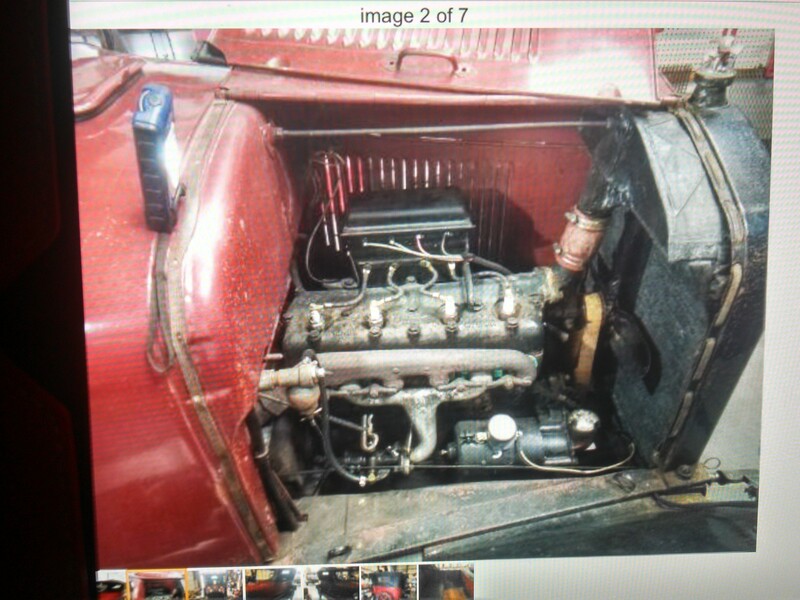 The engine still runs off of the original Magneto/coil box and the crank driven distributor. And the electric start gives you the choice of cranking the car the old-fashioned way or just turning the key and pushing on the starter button mounted on the floor.